This is my first post on Blender Artist community featuring my most recent model. 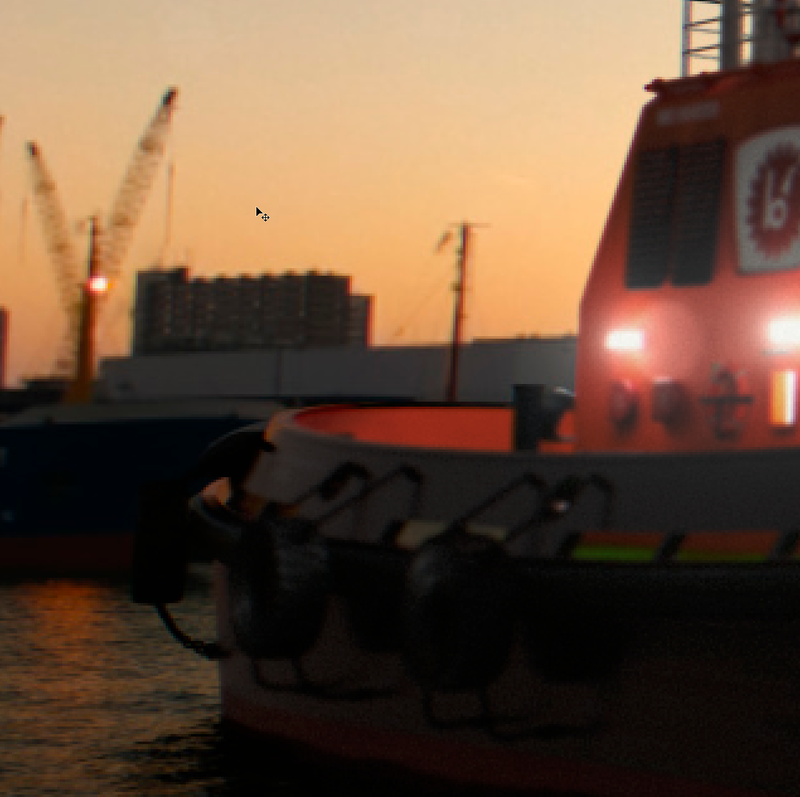 This tugboat was planned a long time ago and now that I am doing the Renders of my Bulk Carrier (my biggest project, still in process) was perfect to model it and include in some scenes. 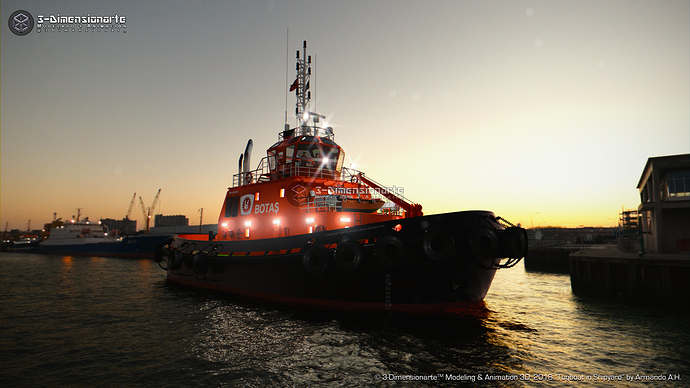 Modeled in Blender using Blueprints and images from other tugs as reference, I found the images of the real later, then I added details and change the colors. Textures created in Photoshop and the Normal maps in Blender. I used Ocean sim for the water, wind and Smoke Simulation. Instances for the tyres and water. I have more blueprint of Tugboats, maybe I will model other. Did you take a photo this don`t look like blender? 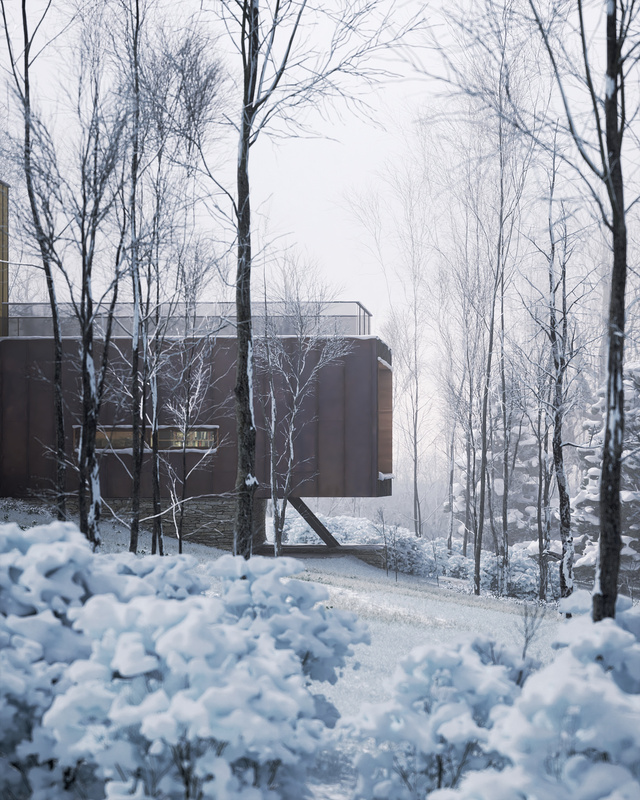 Well, for people to say that my render is a photo, it’s a compliment, thanks. You can see the progress of this and all my works on my Twitter and Instagram and the full gallery in my Artstation. Modelling and lighting is really good. the boat reflection is quite strange. the foto on the back is too blurred compared to the rendered boat. You should find a way to smooth better the transition. the hull and the tyres are too clean. Some dirty texturing will help you. Looks so realistic. I wouldn’t believe this is a 3D Model if the boat has not very smooth surface on it’s red parts. Very well blended the sea with HDRI image. Lighting and colors are pinpoint as well. TO bad you cramped it full with text. The background isnt really matching up as well. THe model looks nice but the image is kind of blurry if im honest. The thumbnail looked awesome, yet i was a bit disappointed when i view the big images. Its not meant to be offensive, it ruins the image. But your scared people will use your image and watermark them. I do not have to make unnecessary modifications if the aspect I want to achieve is the correct one.